This week is a busy one. With something going on everyday after school, I'm going to be relying on super quick and easy meals this week. 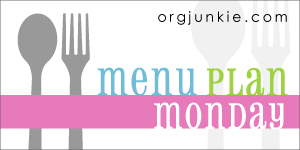 Everything from an easy soup recipe to tasty paninis will find a place on this week's menu plan. Monday - Southwest potato corn chowder. 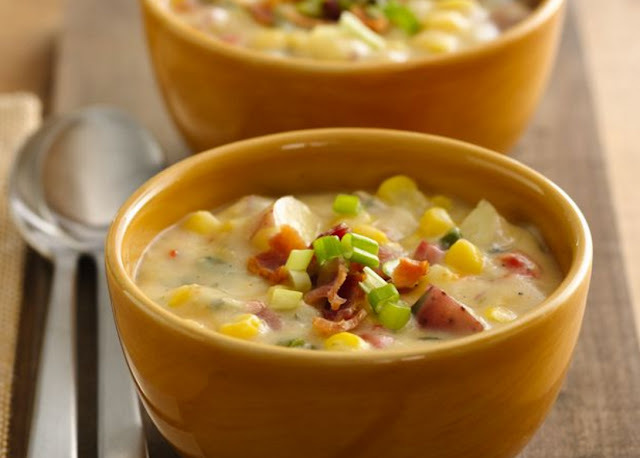 Potato and corn chowder is one of my favorite soups. I love that this one has a spicy Southwestern spin on it. 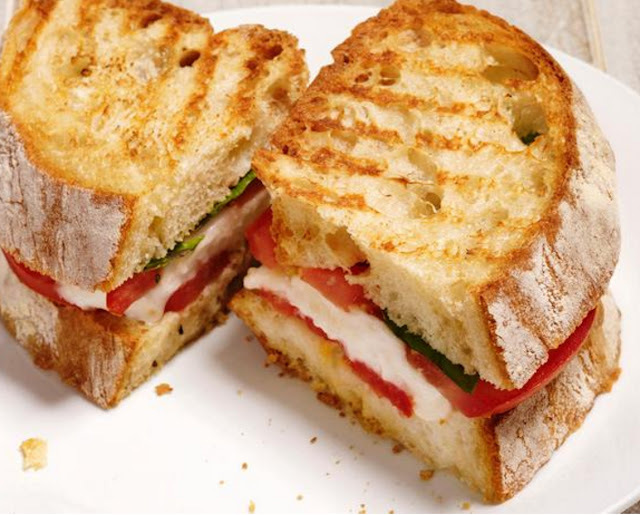 Tuesday - Caprese panini. This is one of my favorite sandwiches to order out, but I rarely make it at home. This week we are making it at home and serving it with a side salad. Wednesday - Pasta with fresh tomato sauce. 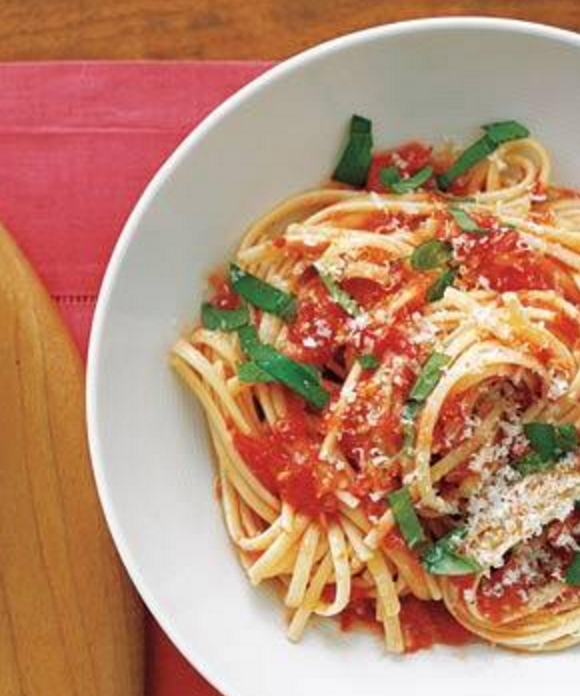 Is there anything better than pasta with a simple but delicious tomato sauce? No! You can use some of the basil that you buy for the Caprese paninis in this recipe. Double duty ingredients! 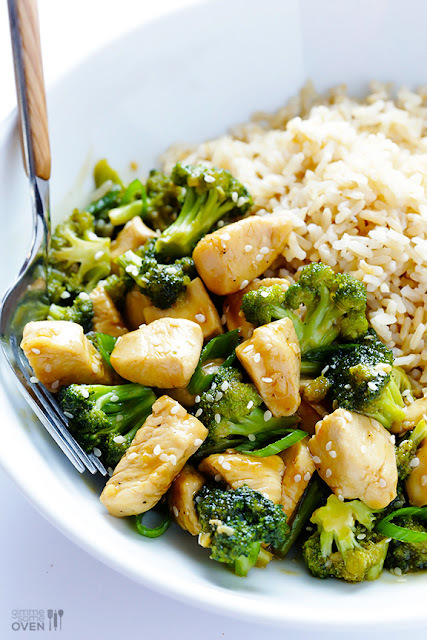 Thursday - 12-minute chicken with broccoli. This is a house favorite, and it takes only 12 minutes to make!! Now that is my kind of dinner. Friday - Tex Mex stuffed peppers. Lately, it's just been the Hubs and I on a Friday night. The girls are usually with friends. 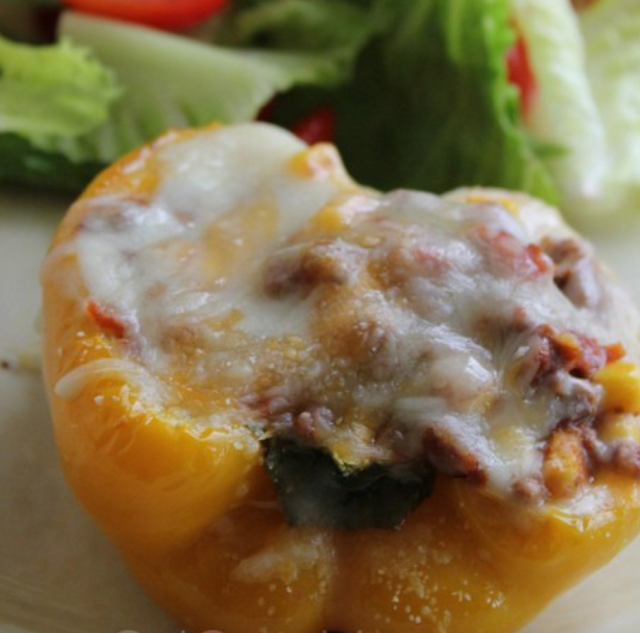 Since they don't like stuffed peppers, I am making these...we love them. Saturday - Take out. The Hubs and I are going to a concert. So, we'll get take out for the girls before we meet up with friends for the concert. 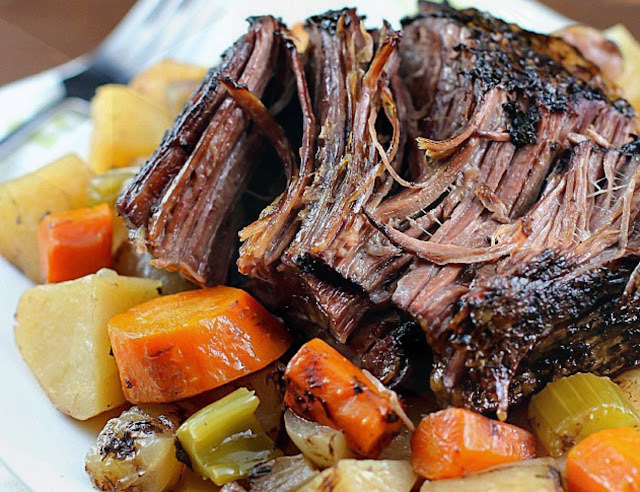 Sunday - Crock-Pot roast with veggies. It's been a while since I've made a beef roast in the slow cooker. It's time to do it! My family loves it. The girls especially love the veggies. I usually prepare mashed potatoes as well. It's the perfect Sunday comfort food. I'm all about the pumpkin desserts lately. To satisfy your sweet tooth, bake up a pumpkin layered magic cake. YUM! YUM!